Have questions about this product (ID: 1844)? 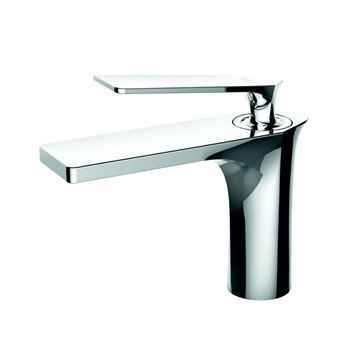 Viola bathroom vanity basin mixer single handle chrome faucet brings your bathroom a style upgrade . To ensure lasting functionality, this faucet is manufactured with top-quality materials and best-in-industry components. A single lever handle provides effortless temperature and flow control.To clean your faucet use a soft cloth dampened with alcohol or soap. It includes mounting hadware. Its material solid brass for maximum durability. It is durable triple-plated finish is corrosion and rust resistant. Viola bathroom vanity basin mixer single handle chrome faucet brings your bathroom a style upgrade . To ensure lasting functionality, this faucet is manufactured with top-quality materials and best-in-industry components. A single lever handle provides effortless temperature and flow control.To clean your faucet use a soft cloth dampened with alcohol or soap. It includes mounting hadware. Its material solid brass for maximum durability. It is durable triple-plated finish is corrosion and rust resistant. Rust-resistant is important thing to think about when buying a brand new faucet. It has one installation hole. Its dimensions are overall faucet height is 6,22" , overall faucet width is 5,20" and overall faucet depth is 2,93".